As drones become more popular, sophisticated and dangerous, Canada and the U.S. are working on new rules to rein in the use of unmanned aircraft in our increasingly crowded skies. Prompted by growing concerns over safety, the U.S. Federal Aviation Administration has announced the creation of a task force to develop a registration system for drones. Canada, meanwhile, is looking at bringing in updated drone regulations next year, replacing its existing safety guidelines with stricter rules requiring licensing, training and registration. In Canada, as in the U.S., close calls between drones and aircraft are on the rise, and the consequences of a collision could prove deadly. Just this August, a drone narrowly avoided crashing mid-air with a seaplane in Vancouver. But Canada is no Wild West when it comes to drones. While the U.S. is just starting to regulate unmanned aircraft, we’ve had laws on the books since 1996. To operate a drone — the official term is unmanned aerial vehicle (UAV) — heavier than 25 kg or for commercial or research purposes, Canadians must obtain a Special Flight Operations Certificate (SFOC) from Transport Canada. 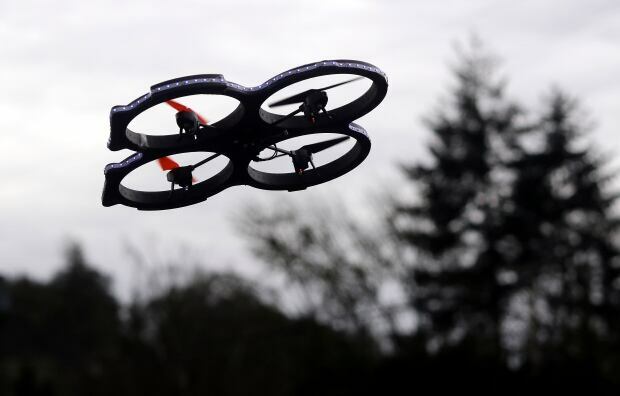 You don’t need permission to fly a smaller drone for recreational purposes, but hobbyists are expected to follow Transport Canada’s safety guidelines, which forbid flying drones near airports, buildings, populated areas or moving vehicles. Drones are also subject to Canadian Aviation Regulations, which state that it is illegal to do anything with an aircraft that puts aviation safety at risk, as well as any existing municipal, provincial or federal laws. 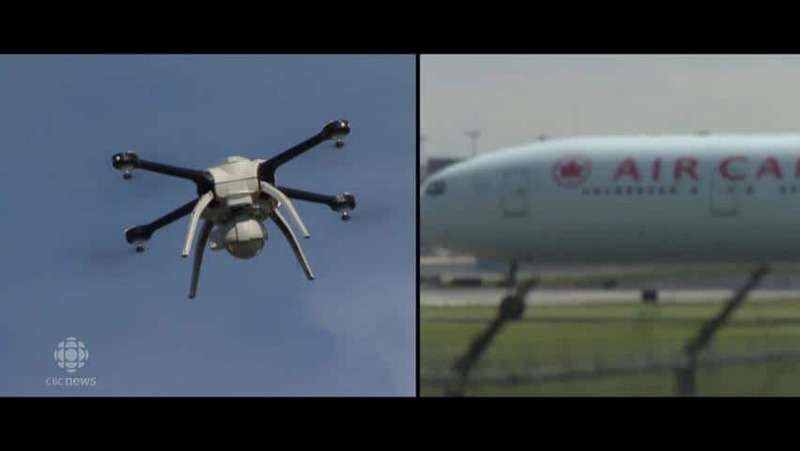 “Using a UAV in a reckless and negligent manner could cause damage or bodily harm, resulting in lawsuits, fines and jail time,” Transport Canada spokeswoman Roxanne Marchand told CBC News in an email. The problem, experts say, is that while anyone can buy a drone, not everyone is aware of the rules. Jeremy Laliberté, a professor of mechanical and aerospace engineering at Carleton University in Ottawa, agrees. He said the current rules were drafted when very few people had access to drones. He said Transport Canada needs to create better public awareness about its safety guidelines. Commercial and research drone operators are better educated about the rules, experts say, because they have to obtain SFOCs from Transport Canada and let the government know what kind of drones they’re using, where they’re using them and why. When it comes to using drones for research and commercial purposes, Jara and Laliberté say Canada is a world leader for its progressive stance — especially compared to the U.S., which has imposed a near-universal ban on commercial drones. That’s why, for example, Amazon is conducting delivery drone flight tests in Canada. The U.S. has only issued 1,000 approvals for commercial and research drones under its limited exceptions to the ban. Canada, meanwhile, issued 1,672 SFOCs in 2014 alone, despite having far fewer tech companies and research institutions. Still, tighter rules are coming to Canada that will affect both recreational and commercial users. 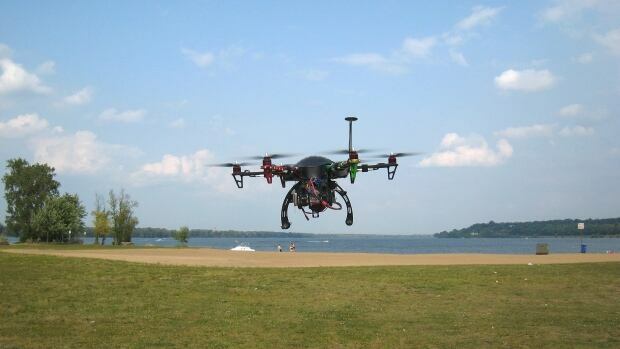 In May, Transport Canada announced a set of proposals for new regulations for drones under 25 kg. Drafted through consultation with stakeholders from industry and hobbyist organizations, they could come into effect as early as next year, after public consultation and amendments. Under the proposed framework, drones would be categorized and regulated according to their risk level. Certain drones — the ones deemed more capable of causing damage to people and property, for example — will have to be registered by serial number, and people will have to get safety training and apply for pilot permits to operate them. Capt. Ed Bunoza, chair of the Air Canada Pilots Association’s flight safety division, supports the proposed changes, especially registration. “It can be easy to locate a UAV that has violated airspace rules, but it is often difficult to identify the operator,” he said in an email to CBC News. Jara suspects the proposed regulation changes will be the first of many in Canada. Newer PostWhy drones are important for filming!